The only difference between an inlay and an onlay is where the final product ends up on the tooth. The product in question is, in a sense, basically like a filling. An inlay is a pre-molded filling that fits into a cavity between the cusps or lobes of a tooth. An onlay, still fabricated and coming from a dental lab, is larger, just like the top of a crown. Still confused? Let’s break it down further with the situation that would be advantageous to have an inlay or onlay put in place. 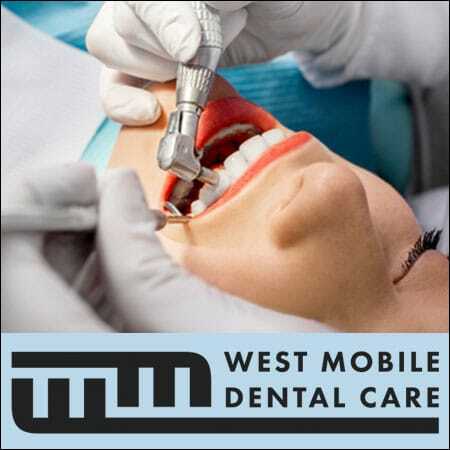 Upon your dental exam at West Mobile Dental Care a cavity was found on the chewing surface of the tooth. That cavity is carrying bacteria and needs to be removed to prevent the bacteria from getting into the pulp or nerve of that tooth. If you further neglected that cavity it would evolve into having a root canal to save the tooth or worse, you may have to have the tooth extracted. You can have the decayed portion of the tooth removed and the remaining void then will need to be filled or covered. An objective discussion is next with the dental staff as you review your options. Your choices are to have a filling done right in the dental office or an inlay or onlay. Inlays and onlays are fabricated at a dental lab and made of porcelain ceramic. The final product or solution blends with the color of the tooth and neighboring teeth better and actually strengthens the tooth when a filling can weaken the tooth. Both inlays and onlays are quite durable as well. A filling is placed directly in the cavity by the dentist. Dental fillings made from amalgam have been around for over 150 years. They can be strong and long-lasting but there is one primary drawback, they are silver in color. Another dental filling option is quite expensive with the same aesthetic drawback and that is having a gold filling. Popular fillings today come in a composite resin which can be shaded the color of the tooth being treated in order to match and blend in. All fillings are placed in the cavity directly in the dental office with the dentist sculpting or molding the material. In contrast, both inlays and onlays are fabricated in a dental lab from an impression made by Dr. Schrader at West Mobile Dental Care. The extra time given to the inlay or onlay in the lab yields a better final product. They are made from porcelain and not only match the color of the tooth better but also match the grooves in the tooth. They are both very durable and are bonded to the tooth, which actually make the tooth stronger. The decayed tooth is numbed first with a local anesthetic. A small hand drill is used to remove the decayed material from the tooth. At this point is when the decision is made to either fit an inlay or onlay. If the decay was smaller in size and did not affect the cusps of the tooth, then an inlay will lay right into that cavity. If the decay damaged a cusp and more surface area then an onlay will be ordered. An onlay is simply bigger in size. The tooth is cleaned, an impression is made and the impression is sent to the lab along with the proper color or shade to match your natural tooth. A temporary filling will be placed to protect the tooth while the restoration is being made. Once it is delivered, the temporary filling is removed, the tooth cleaned again and the inlay or onlay placed into preparation. If it is indeed a good fit then the new restoration is permanently bonded into place. An inlay can do more than a simple filling. If a tooth is broken or fractured an onlay can repair that normal tooth. If the cavity is very large such that a lot of filling will necessary then that filling becomes detrimental to the structure of the tooth. Both inlays and onlays through the bonding process add integrity to the durability of the tooth. It is also sometimes advantageous and more conservative to have an inlay or onlay than an entire crown. A crown totally covers the entire tooth. As an example, this might be necessary if the tooth has had a root canal and there is concern for the life expectancy of the tooth of if the tooth has a bad crack and the crown can be placed to protect that tooth. An inlay or onlay can be considered the next level of dental prevention. You did get a cavity but you did have an exam to find that cavity before it was too late. As mentioned before, having an inlay or onlay is far more advantageous than having a root canal or a tooth extraction. Needless to say, if you do your best to follow the industry guidelines of brushing your teeth well twice a day and flossing at least once a day it might be conceivable you may never get a cavity. 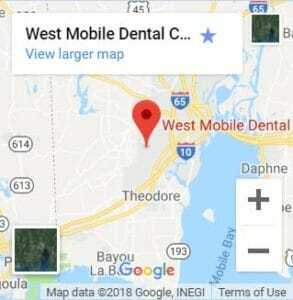 If you also schedule a dental exam twice a year at West Mobile Dental Care they can build a history of your oral hygiene and make objective suggestions regarding future care. The x-rays that become part of your history can catch cavities before they become harmful to the tooth or nerve as well as anything and everything going on below the visible gum-line. The professional cleaning you will get with each visit is worth the appointment in and of itself. Take care of your teeth, take care of your smile.